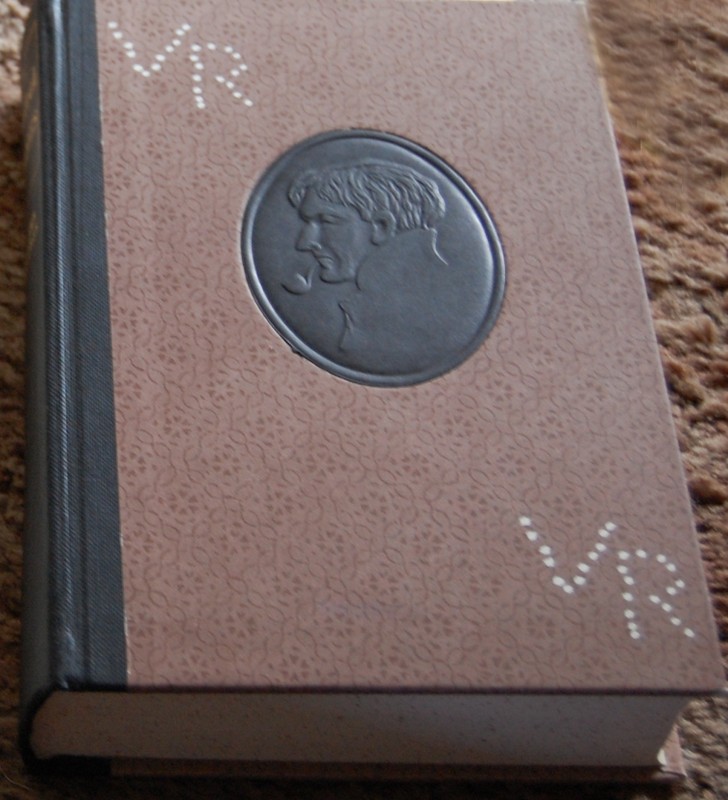 Front Bindings – Sherlock Holmes finally makes his debut on the blog, after many (unknown to you, dear readers!) fits and starts to actually get them posted here. 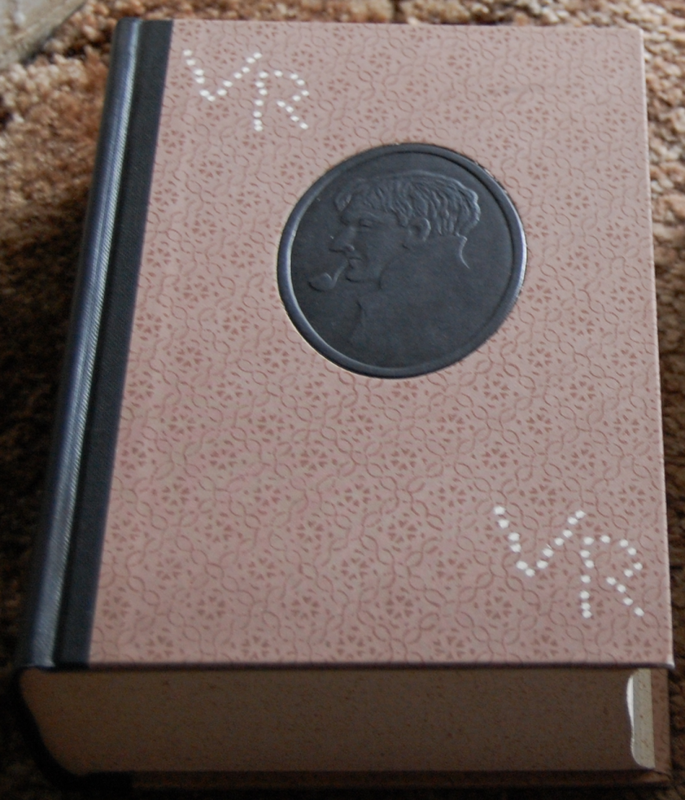 The Heritage edition of the first collection of Holmes was my second (ack!) title from the Heritage Press I ever acquired, way back in 2008 or so. I have photographed that copy at least twice before, but events conspired against the publication of those images, and I had replaced that original acquisition with the copy and its sequel you see before you today. 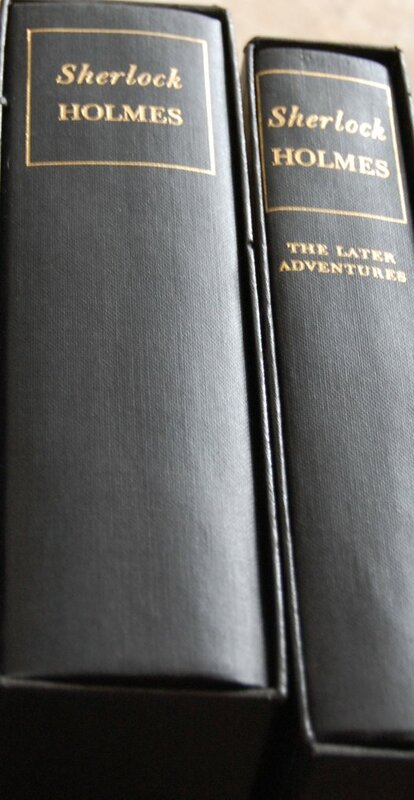 There is a third volume of stories, titled The Final Adventures, that I have yet to come across, but it looks like these two in style and design. And, as a fitting footnote to this troubles I’ve had posting about Sir Arthur Conan Doyle’s masterwork, this is at present the final books I can post that I currently own. Surreal! Anyway, this was a reprint of the LEC Sherlock Holmes, which were broken into more volumes for comfort (three volumes for the first series; two for the second and third). While the overall visual look was unaltered, the convenience of carting around the LEC’s smaller tomes may make that set more desirable. These editions are from 1969 when the Heritage Club was in a curious state of flux; the Sandglasses state that their home was in Del Mar, California. Was this Jonathan Macy, son of George, or was it one of the few pitstops for the Heritage Press prior to settling in with MBI, owners of the Easton Press (and who, coincidentally, still own the rights to reprint LEC and Heritage titles from the Macy eras), in Norwalk, Connecticut? I do not know, but if any of my fellow Devotees knows, I’ll pass it along. The sets of Holmes would be the last of Doyle we would see from the Limited Editions Club, but not from the Heritage Press. Well after the Macy era had passed, MBI issued some titles under the Heritage Press banner in the later 1980s/early 1990s, including Doyle’s The Poison Belt. It looks much like the rest of MBI’s titles generated through the Easton Press, but carries the Heritage banner and even came with a Sandglass. This was released in 1989, and would be the end of the publications featuring Doyle. Atypically, this series features more than one illustrator at its helm, but that was more due to complications than design. 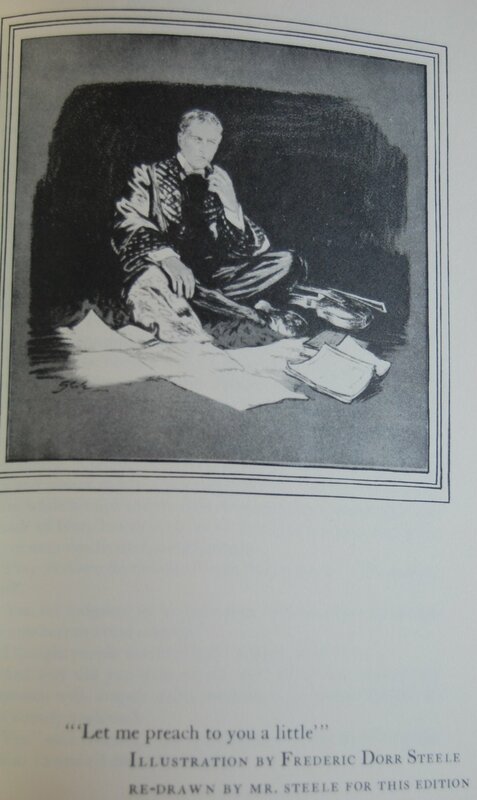 The original plan George Macy had in mind was to commission the talents of one of the original artists of the works when Doyle was actually publishing them: Frederic Dorr Steele. 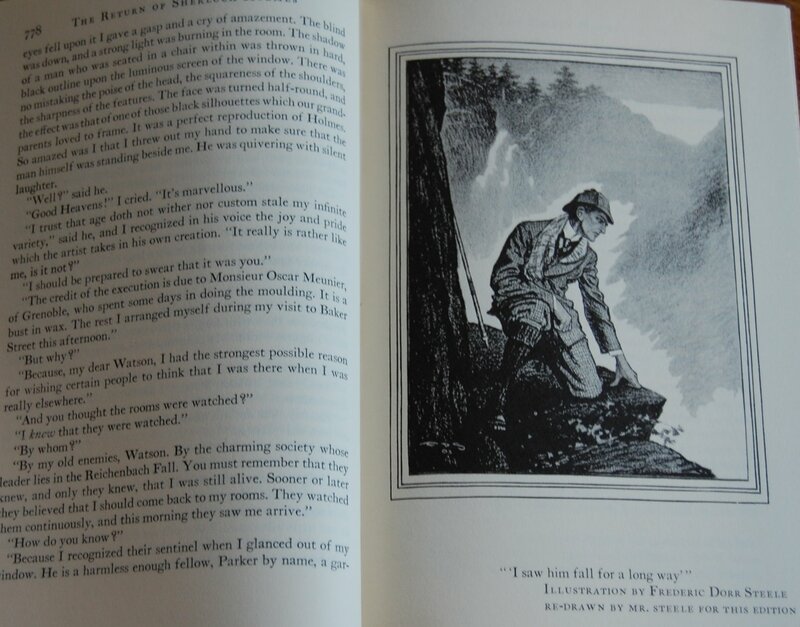 Steele would redo the pre-existing artwork he had performed prior to Macy’s edition, and also create brand new illustrations for the stories he had not been able to during the original publication of Sherlock Holmes. Alas, this did not quite come to fruition. Production delays thanks to copyright permissions for redrawing his classic pictures had a heavy impact on Steele’s health (he was 75 when he got the job from Macy), and perhaps accelerated his unfortunate passing before the project could be finished. Steele did complete some of the commission’s intentions before his death — 11 redrawings for the Adventures and two redos and four entirely new pieces for the Later Adventures — and those have been included, but it was not, shall we say, enough to populate such a massive amount of text. It’s also clear than some of these selections are not complete, but were included anyway — perhaps as a nod to his creative process, or in tribute of his efforts to perform the task? At any rate, Macy had to come up with a drastic alteration for his Holmes, and he turned to the man who helped get it off the ground in the first place: Edgar Smith. Wright, you see, was a bit of a Holmes enthusiast; I am perhaps understating it here, as Macy (or whoever edited this Sandglass in 1969) goes into quite a bit of detail about Wright’s passion and knowledge on Doyle’s leading detective. 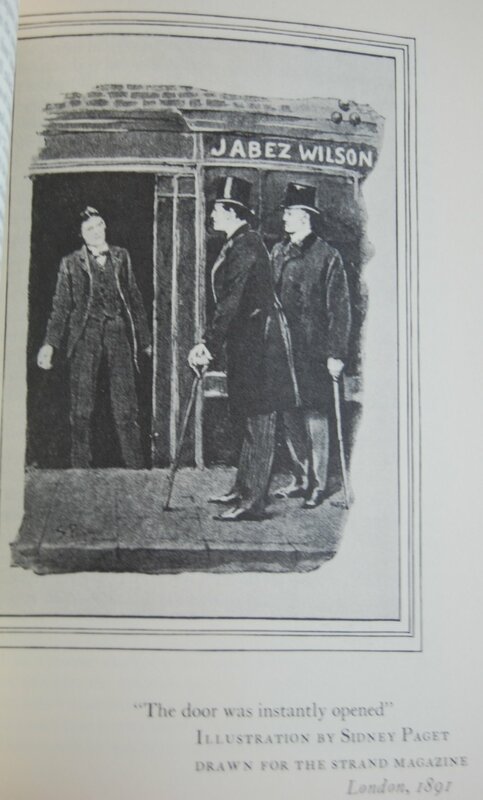 Wright had already volunteered his services as the series’ editor, and was more than happy to open up his vast collection of Holmes and allow the LEC access to them for their editions. I presume Macy had cleared all of the copyright problems that plagued Steele, as his art was joined by classics from Sidney Paget, George Hutchinson, William H. Hyde, Charles Macauley, D.H. Friston, W.M.R. Quick, Charles Kerr, and others. W.A. Dwiggins was recruited to handle the lovely binding design; this series had so many artists! 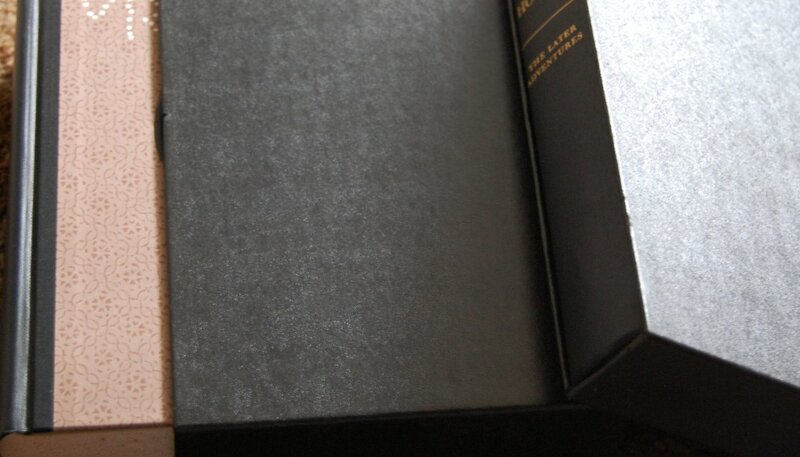 Design Notes – Dwiggins was also the designer of the books. He chose Original Old Style 12 point as his font. The Connecticut Printers handled the printing tasks for both text and illustration. The artwork was photographed from the Limited Editions Club pulls. Tapley-Rutter (formerly Russell-Rutter) did the binding work. Title Page (Adventures) – The editions essentially share the same title page (with mere emendations to the title), so I chose to keep it to one image here. Smith, as noted above, served as the editor for the text, providing corrections and edits as required. Vincent Starrett was called in to introduce the first collection of stories; Later Adventures lacks an introduction. Page 278 (Adv.) – An example of a reprinted image from Smith; one of Paget’s. Page 326 (Adv.) – The selections from Steele I’ve chosen are a little more complete than some other examples in the text. Page 778 (Later Adv.) – I quite like this one. It’s a shame Steele couldn’t finish this commission; it would have been pretty amazing, I think. Personal Notes – I kind of did this already in my opening paragraph, but I’ll mention that these two volumes came to my possession via the Oakhurst Library haul I’ve discussed before. 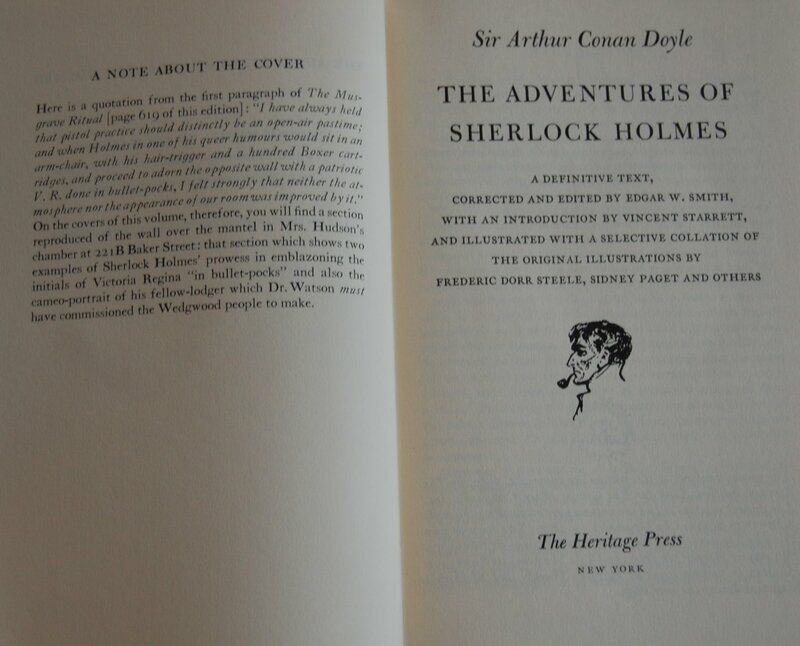 You are currently reading Heritage Press: The Adventures and Later Adventures of Sherlock Holmes by Arthur Conan Doyle (1969) at The George Macy Imagery.